Making The News Canada: Canadian International Relief & Development Sector: Ripe for Disruption? Canadian International Relief & Development Sector: Ripe for Disruption? In wake of merger of big cancer charities, what would happen if Canadian NGOs dreamed up a new way to serve the poor? Earlier this year the Canadian Cancer Society and the Canadian Breast Cancer Foundation announced they were merging. The reason for the merger? Rising fundraising costs and falling donations. In an interview in the Globe and Mail, Cancer Society chairman Robert Lawrie said the merger, which is designed to cut costs and promote efficiencies, might be a model for other charities struggling with growing costs and falling donations. One person who would like to see that happen in Canada’s international relief and development sector is Nicolas Moyer, formerly director of the Humanitarian Coalition. During his time at the Coalition, which brings together seven Canadian NGOs to collaborate on fundraising efforts during disasters in the developing world, Moyer was a persistent—and often lone—voice promoting increased cooperation in the sector. Looking at the sector today, with its many competing organizations, he wonders what would happen if the leaders of Canada’s major relief and development NGOs acted like the two cancer charities, setting aside their organizational interests to dream up a new model to serve the poorest and most vulnerable people around the globe. If they did that, “they would never come up with the system we have today,” Moyer says. But even if the government doesn’t force groups to collaborate more, he thinks other forces will compel them to do so. “The sector is incredibly ripe for disruption,” he states—like what happened through Uber to taxis, AirBnB to hotels, and the Internet to the news media. Among the disruptions he sees for NGOs include how “developing world governments are getting better at what we do." And although not every poor country is treating its citizens the way they should, “as more of them attend to the needs of their citizens, what will be the role for foreign NGOs?” he asks. Then there’s the arrival of groups like Give Directly, which cut out the NGO “broker” and enable Canadians to give directly to poor people in the developing world. And even if the current model isn’t disrupted, there’s the challenge of raising funds to keep all these agencies going. “Despite all the money that goes into competing NGO fundraising and marketing campaigns, as a whole the sector is not raising more money for relief and development,” he says. For Moyer, the big question is: “Can we work together to be more efficient?” He isn’t optimistic. “While a few NGOs are looking at the big challenges ahead, most in the sector are ignoring the serious structural issues underlying their future,” he says. 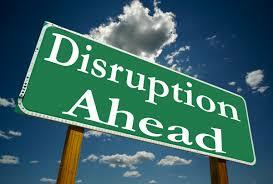 Disruption is a fact of life today. Is merger an answer? Not everyone will agree with Moyer's view that it is. But at least he is asking important questions. A version of this post was originally published in the May 10, 2017 Hill Times.